Aquarius May 2015 Horoscope predicts that you should be flexible and compromise with others to accomplish your objectives. You have to de-emphasize your career concerns and focus your attention on family and psychological issues. If you are into fine arts, you will become more innovative. May 2015 is a good month for the Aquarians to pursue their hobbies which they have long forgotten. The May 2015 career horoscope for Aquarius predicts major changes on the work front. May 2015 is not ideal for finalizing your career plans, or acting on them. You should take it easy for the time being and focus on other important business. Also take a look the Rashifal 2015. The financial prospects for the Water Bearers are encouraging for the month. It requires more effort to generate income. Speculative investments will become profitable after 20th. You will have the help of family and friends in your financial ventures. 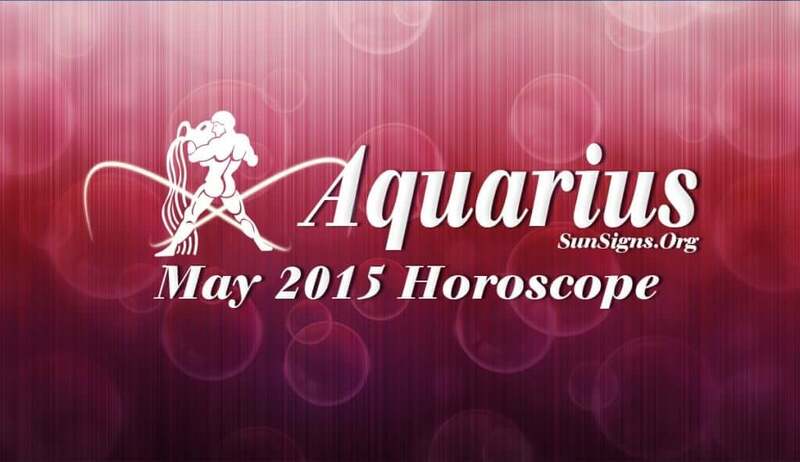 The Aquarius May 2015 horoscope foretells that the last week of the month is favorable to get into love relationships. Many opportunities to get together and celebrate will happen in the family circle. Your house will be renovated and redecorated. Relationships with children will face many disturbances. This is not an ideal month to think about pregnancy. Health will show gradual improvement and will zoom after 20th May 2015 for the Aquarians. Make changes in your fitness regime and diet plans if required. Eat foods that will boost your metabolism.